START THE YEAR OFF WITH A BANG AT OUR YEAR END 50% OFF CLEARANCE SALE! Didn’t get what you wanted for Christmas? Check out our Year End Clearance sale, many items 50% off right now through January 1st. 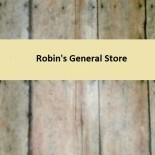 Drop by our store at www.stores.ebay.com/Robins-General-Store for a look at our many categories. We have VINYL RECORDS, 45 RPMS, BOOKS, PUZZLE BOOKS, SHOES, NAME BRAND CLOTHING, JEWELRY, VINTAGE SEWING PATTERNS, SEWING AND CRAFTS, PURSES, BAGS, VINTAGE COLLECTIBLES, MUGS, AND MORE! This entry was posted on December 31, 2013 by Robin's General Store in Uncategorized and tagged 50% OFF, BAG, books, childrens books, CLEARANCE, CLOTHES, coffee cup, crafts, mug, patterns, Purse, puzzle books, SALE, Sewing, shoes, vintage, vinyl records.